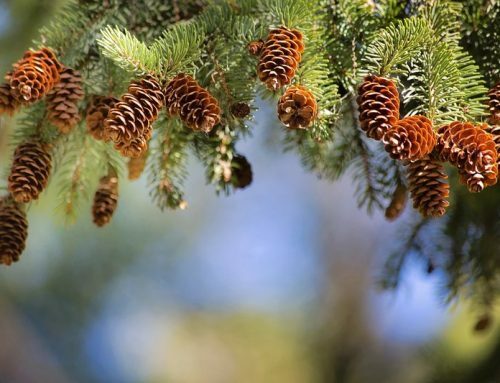 Remember Christmas lawn decorations when you are decorating your log cabin home for the holidays. Outdoor decorations give a warm welcome to your home for family and friends. There are, of course, a number of different approaches to outdoor Christmas decorations. You can use simple, traditional garlands, bows and white lights. You can use whimsical figures or a nativity scene. Or you can decorate your house and highlight it with flood lights. And you can even make your own homemade antique-looking wooden outdoor Christmas lawn decorations. 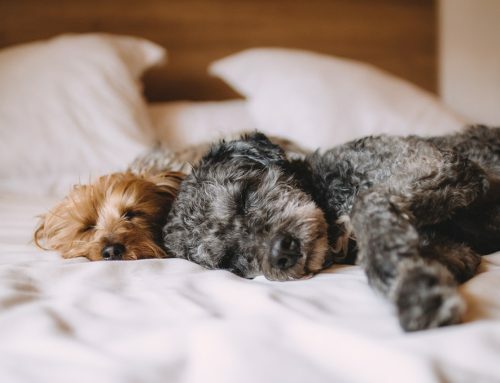 Each year you should choose a specific theme, so that you don’t have a lawn that has confusing messages and is so busy that people miss most of your display. 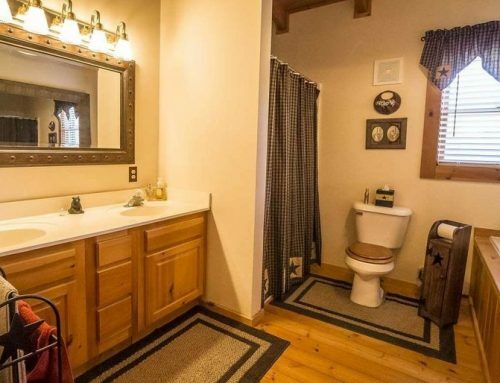 It’s important to keep your theme and your decorations simple. 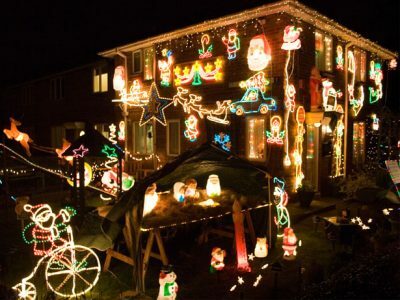 As you can see in the photo above, too many different Christmas lawn decorations can be distracting. Your eye does not know where to go. If you have a beautiful log or timber home, you don’t want to junk up your lawn with so many different themes, lights and decorations. Keep it simple, and your overall effect will be much more pleasing! 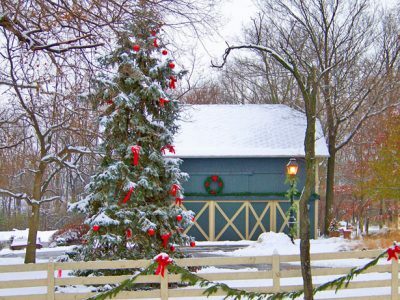 Many beautiful log homes use simple outdoor Christmas décor like the barn seen in the photo. If you’d like to achieve this effect, use pine branch garlands, natural wreaths and red bows. Wreaths can adorn fences, barns or houses. 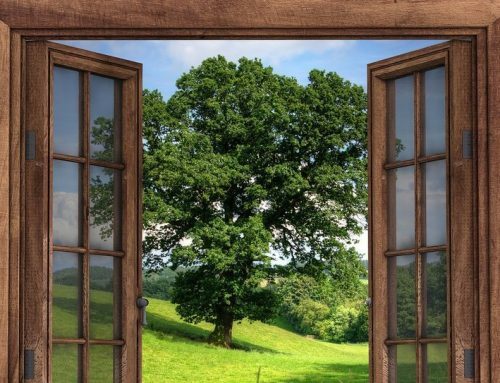 Garlands can be placed around your entry door, around windows, on a barn or on a fence. 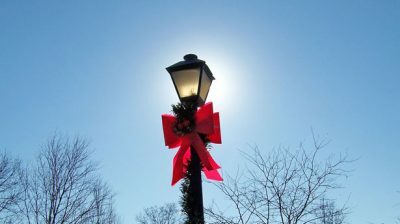 Big red bows look classy on fences, doors, windows, barns and on lamp posts. Homemade Christmas lawn ornaments like this one, were common in the 1940s, 1950 and 1960s! You can make one yourself, if you appreciate nostalgia. You can make your own with these patterns…When I was young (1950s), our neighborhood civic association used to have a contest each year for the best Christmas lawn décor. Many of the men in our neighborhood spent long hours working in their shops to make attractive Christmas ornaments for their lawns. The best part, of course, was driving around the area to see all the displays. Many of the decorations looked similar to the one above. They were made from outdoor grade plywood, cut with a jigsaw, and painted creatively. When completed and standing on the lawn, they were highlighted with spotlights. It was great! You don’t see those wonderful handmade Christmas decorations very often anymore. But, you could easily make your own with a few simple tools. 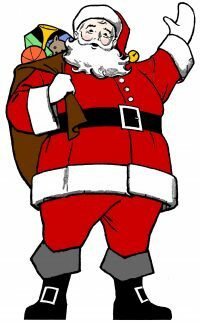 You can get patterns for 2 Santas, angels, carolers, a fireplace, snowmen and a Christmas tree at Make Your Own Vintage Christmas Lawn Ornaments. And you’ll even get instructions on how to make your displays animated! 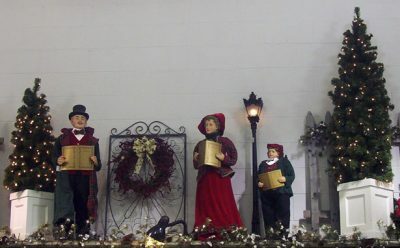 Traditional Christmas lawn decorations often included Christmas carolers. These carolers have exquisite detail and can be purchased at Amazon. Today we are fortunate to have different options to choose from. Acrylic Christmas decorations can be placed outside, although I would prefer to see then under cover, as on a porch with a roof. Acrylic figures are often life-like, and popular figures include nativities, carolers, Santa and snowmen. Christmas lawn decorations can be very simple, like this light post with a green garland and a big red bow. 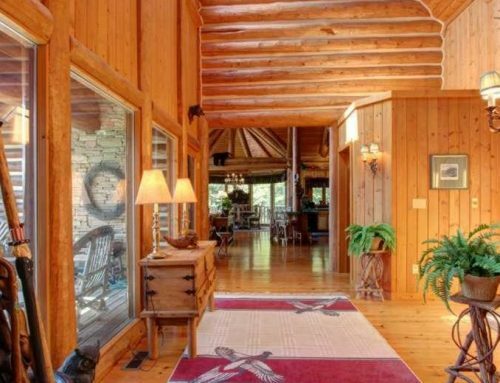 Sometimes a cluttered yard can detract from the beauty of your log home. Simply decorating a lamp post or your front door can be enough. Guests will feel welcomed, and your home is still center-stage! 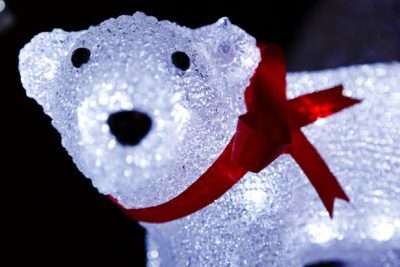 Christmas lawn decorations can include whimsical and exciting lighted figures, like this cute polar bear. 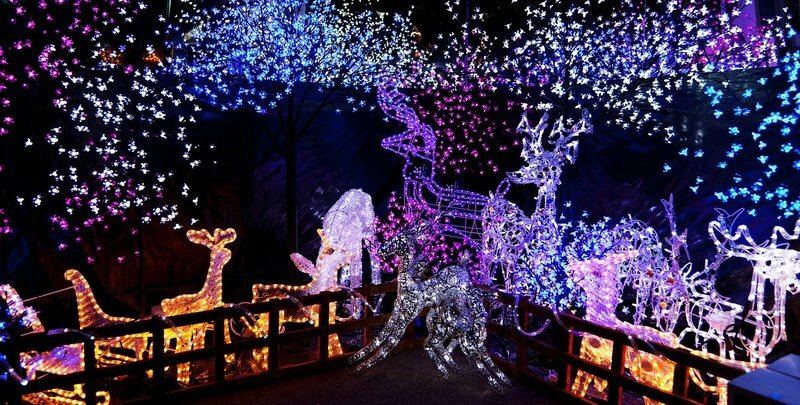 Lighted Christmas lawn Decorations are popular.Perhaps you prefer lighted lawn ornaments. You can buy silhouettes or outlines of Santa, snowmen or reindeer, or you can get 3-D figures like the one shown in the picture. And, of course, you can also buy inflatable Christmas lawn decorations. Whatever you decide to do about Christmas lawn decorations, keep your family’s taste and preferences in mind. And have fun decorating your lawn and outdoor area!